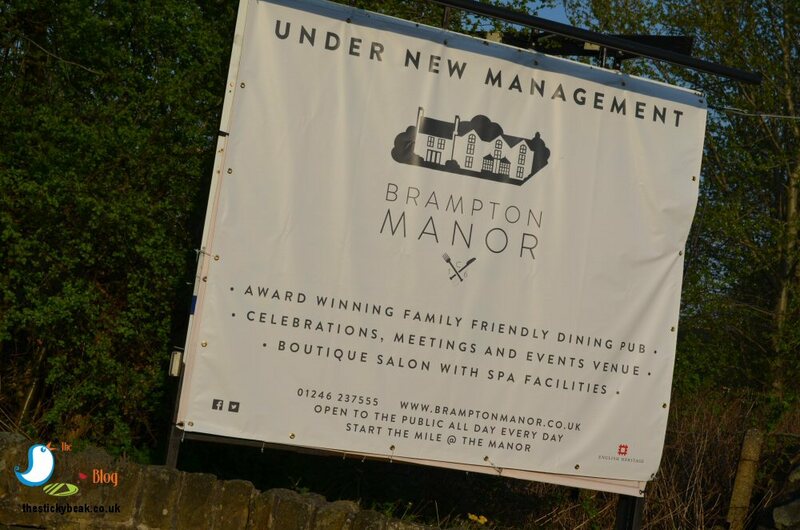 Chesterfield locals will no doubt be aware of the recent changes to what was formerly The Manor at Brampton, but those further afield will perhaps need putting in the picture. For a start, the name has changed; it’s now back to its original name, Brampton Manor, which I personally think befits its distinguished status in the locale. Also, you no longer need to be a member to access the facilities there (including a spa, sports club, and salon); in fact, this now makes it the only 16th century Manor House open to the public in the area. The management team have taken over the business, including the return of General Manager Leann Bradbury who is a popular local lass, as well as Head Chef Bret Davies (who previously worked at Catch 22 in the town centre). Moving forward, the ethos is to really become an integral part of the community and steps in this direction are already blossoming; a parent and toddler group runs every morning (except Sunday) where there are some great coffee, cake and dining offers, as well as kids being able to eat for free all day on Thursdays (1 child per adult). 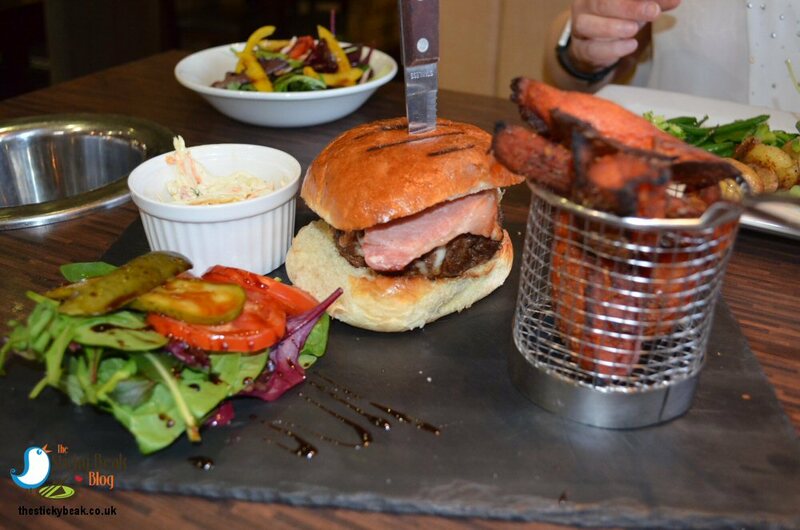 Hard working folks have always been a strong feature of Chesterfield, and those in the emergency services, HM Forces, and NHS staff can take 10% off their food and drinks bill simply by showing their work IDs. Bank Holidays are perfect for family get-togethers at Brampton Manor with Face Painting, Balloon modelling, and bouncy castle to keep the nippers amused whilst the grown-ups natter away in the refurbished drinks garden. 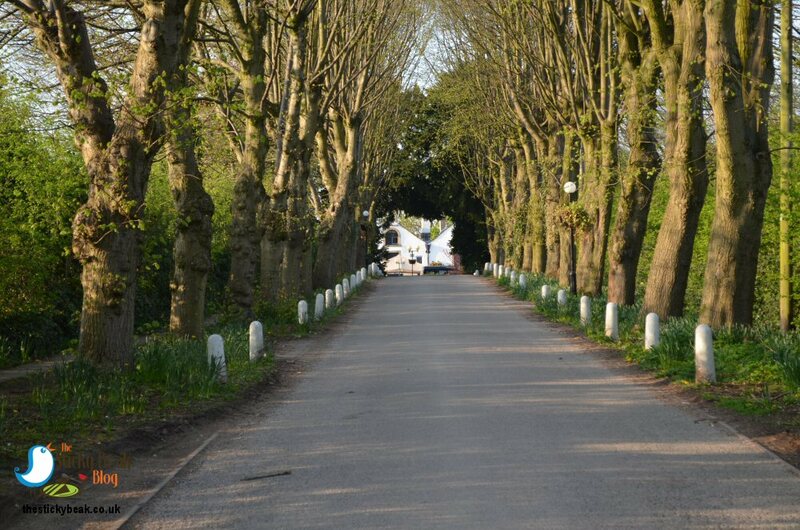 For those that haven’t been to Brampton Manor before, you really will be impressed by the stunning view as you come up the sweeping, tree-lined driveway. There’s plenty of parking too, which as you know is something I value highly in a venue; I hate ruining my car-to-bar heels by trogging any distance! The staff members are very friendly and all looked lovely in their monochrome uniforms. We sat at one of the booth tables and these are very niftily kitted out with integral wine bottle holders - genius ideaJ, and cutlery is housed in stylish metal buckets along with the napkins. Given the age of the building it will come as no surprise when I mention the thick wooden ceiling beams, large flagstoned floor, and mix of sash- and leaded- windows. 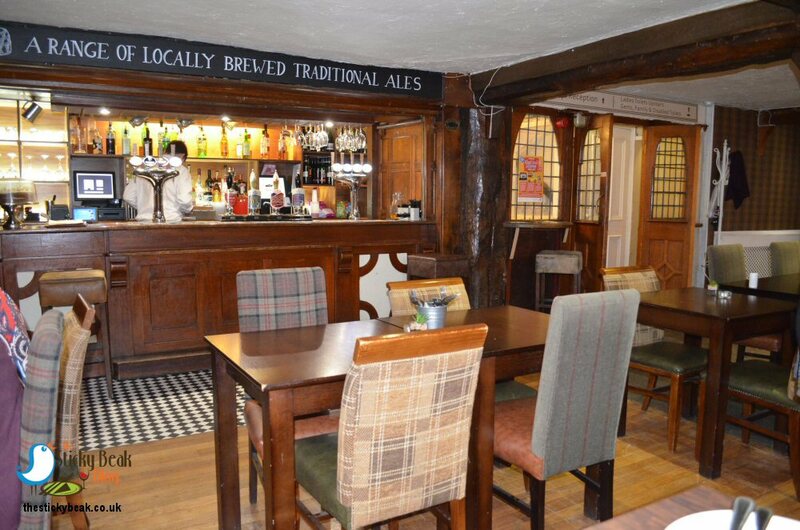 The decor has been kept fairly neutral to keep the relaxed, friendly atmosphere of a local pub, but with a bit of class to dine in. Head Chef Bret is planning on changing the menu seasonally, and with it being spring/summer there are currently plenty of salads and al-fresco friendly platters and flatbreads to choose from. Don’t panic though if you’re a year-round pie, steak, or fish n chip lover, they’re available too - as is the uber-popular Brampton Burrito! Sandwiches and Jacket Spuds are available from Noon-5pm for those that want a lighter bite. 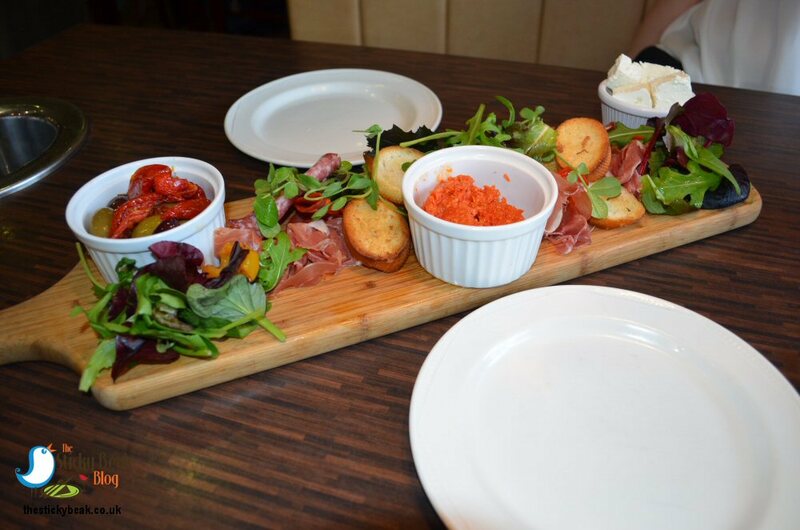 To kick our evening off we chose the Antipasti board to share; the gloriously sunny day had got us in the mood for something a little different, and it’s a relaxed, sociable way to begin a meal. It was a popular choice too with those wanting a nibble as they sat in the outside terrace (whose colourful wooden planters of flowers looked beautiful); its variety means that there’s something for everyone to graze on. One of the team offered us water for the table too, which came chilled in its own bottle and the glasses had ice and lemon slices in, which was a nice touch. His Nibs and I merrily tucked into the Salami, Chorizo and Parma Ham as we chatted away and sipped our drinks. There was a nice mixed leaf salad to pick away at too, and I dipped into the bowl of mixed olives and sun-dried tomatoes from time to time. The Man Bird was larruping the red pepper and tomato Tapenade onto the garlic Crostini as if it was going out of fashion; mind you it did have a wonderfully intense flavour to it, so I can’t blame him! There was a lovely amount of Feta cheese chunks to nibble at too, as well as roasted slices of courgette, yellow pepper, and butternut squash. The presentation of this platter on a long wooden board was simple but effective; it allowed all the different colours to really pop and it was just summer epitomised I thought. Clean, fresh flavours really got the juices flowing, and we were looking forward to our main courses. I chose the Salmon with Crab and Parsley crust, served with Sautéed New Potatoes and buttered greens for my main dish, The Man Bird had the 8oz pressed Beef burger with Bacon and Cheddar cheese, and had the Sweet Potato Cajun wedges to go with it. As is often the case, I had the house salad as a side dish to go with my main course. 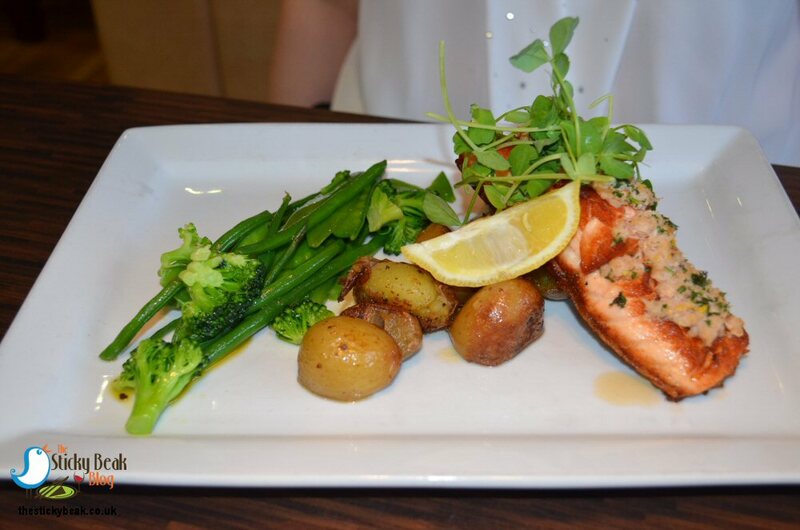 My Salmon fillet was lovely and thick, but was juicy and moist with a nicely crisped skin. The Crab and Parsley crust went beautifully with the fish, and all the flavours were well balanced so that each was discernible without a single one dominating the others. There was a wedge of fresh Lemon on the side of the plate, so I squeezed that over the salmon, and revelled in its delicate tartness on my tongue. I was smitten with the sautéed potatoes; they were like mini, skin-on jacket spuds, and had a lovely earthy-yet-sweet taste to them. Broccoli florets, trimmed green beans, and mange tout all glistened gently in their butter coating and they all had a hint of crunch when bitten into which was very pleasing. Every venue does a different interpretation of a side salad, and I did enjoy the one that came from Chef Bret’s kitchen. 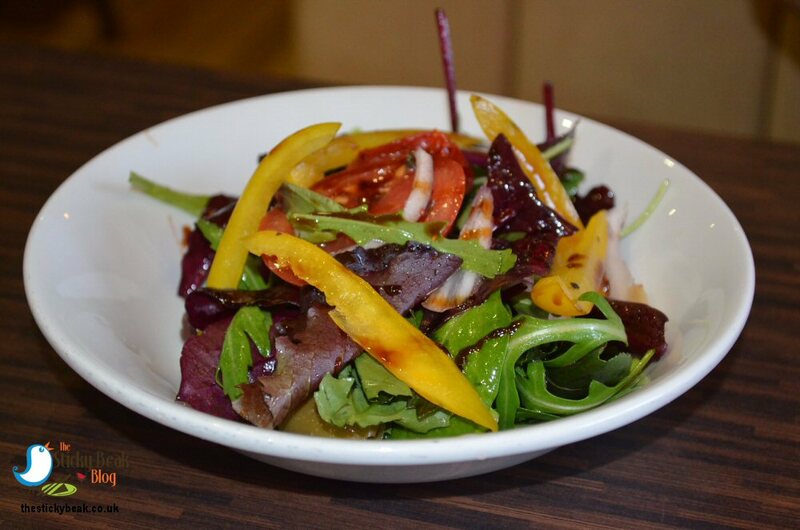 At Brampton Manor you can expect to find olives, yellow pepper slices, thinly sliced red onion, and sun-dried tomato pieces nestling in amongst your mixed salad leaves; all lightly dressed to make them shine. His Nibs’ burger was an absolute beast in all its 8oz glory! The hand-formed pattie was nicely seasoned to enhance the natural flavour of the meat; whilst it had been thoroughly cooked and wasn’t served pink, it hadn’t been overly done and the pattie was lovely and juicy. One of The Boy Wonders’ pet peeves is the inclusion of pickle/gherkin slices within the burger bun; inevitably they leach their juice into the bread and if you don’t like the flavour (he doesn’t!) it can ruin the experience for the person concerned. Luckily, Bret has given this some careful thought, and the gherkin slices at Brampton Manor are served separately on the side, as are the sliced tomato and salad. His Nibs was a jolly happy chappyJ . The brioche bun had been lightly toasted, and as well as the meaty beast of a burger, it housed two thick slices of bacon and plenty of Cheddar cheese. As The Boy Wonder opened his mouth to take the first bite it reminded me a bit of the Mersey tunnel -wide! It isn’t a burger for the faint-hearted; you’ll know you’ve eaten this bad boy for sure. Brampton Manor has won The Man Birds’ heart with its Sweet Potato Cajun wedges. They are lovely and generous in size, but best of all they have a properly kicking Cajun taste to them. His Nibs declared them to be “amazeballs”, and said they were his favourite chips of all the venues we’ve visited - and we’ve visited a fair few!! Our server was really chuffed when we told him this, and that all the food so far had been fantastic. It always makes me happy when I see the staff visibly proud of their place of work, and his little face was lit up with a beaming smile. Although we were fairly podged by this time, there was no way on this earth we weren’t going to have pudding! The Bakewell Pudding Trifle piqued my interest and Bret’s Brulee of the day (Cranberry on this particular occasion) caught The Mans’ eye. 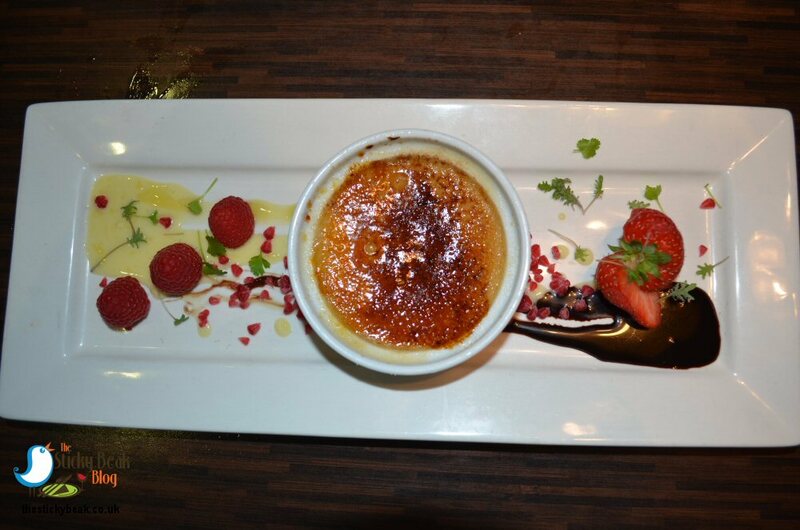 The Brulee came on a slate and was flanked on one side by a swirl of dark chocolate sauce and fresh Strawberries, and by Vanilla sauce with pieces of freeze-dried Raspberries on the other. What really got us sitting bolt upright though was the thickness of the caramelised sugar top; it was quite possibly the thickest one in the world. You definitely needed ear defenders for the crack it gave when thwacked with His Nibs’ spoon! 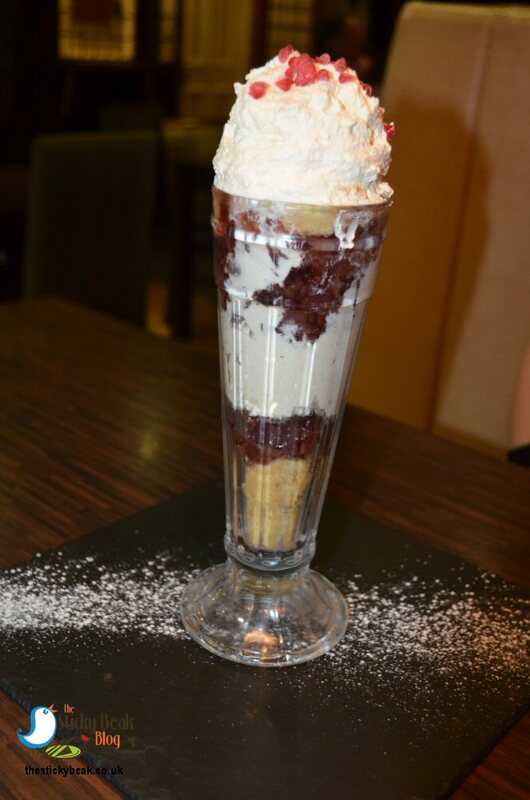 The trifle was presented in a tall sundae glass, with a mountain of whipped cream and freeze-dried Raspberry pieces crowning it all. I dug my long sundae spoon down as far as I could and was rewarded with a mix of light, airy Almond sponge, Cherry jelly, and whipped cream; my taste buds thought they’d died and gone to heaven! It was a brilliant interpretation of the iconic Derbyshire dessert within another typically British tea-time favourite, the humble Trifle. Pieces of cherry were housed in the jelly too, which provided a nice textural component to this pudding. It isn’t often that The Man Bird and I are stuffed to the brim, but we were on this occasion; even a coffee to finish things off was going to be a step too far! Every mouthful had been a pleasure to eat, and if we lived closer I would be sorely tempted to try the breakfasts at Brampton Manor. I could definitely be tempted to try the Afternoon Tea; at £19.95 for two people (£12.95 for a single person) it sounds good value for money. If you want to try afternoon tea, please give the team 24 hours notice. Sunday lunch is another firm favourite on offer at Brampton Manor, and kids can always choose from their own Brampton “Bearlicious” menu if they fancy. 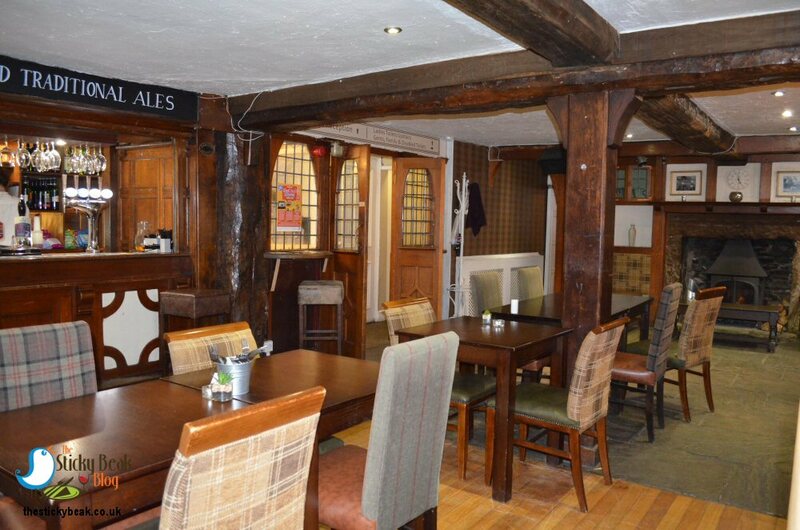 All kids dining get free squash to drink, and teeny-tinies under 2 get a free baby bowl of mash and carrots - Brampton Manor is definitely very family friendly, that’s for sure!